Have you ever walked into a room and felt negativity in the air? Feeling another person’s energy is actually very common. 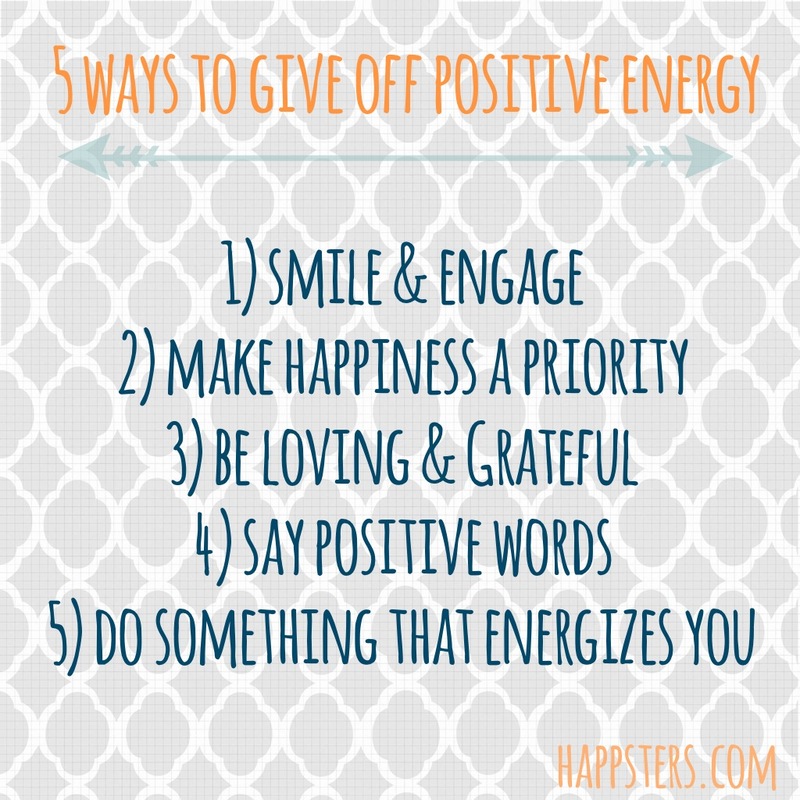 If you give off positive energy, other people will feel better around you. In contrast, if you give off negative energy others are likely to feel tense and likely want to leave. Positive beliefs, thoughts and feelings turn into positive energy that you put into the universe. YOU control your energy. 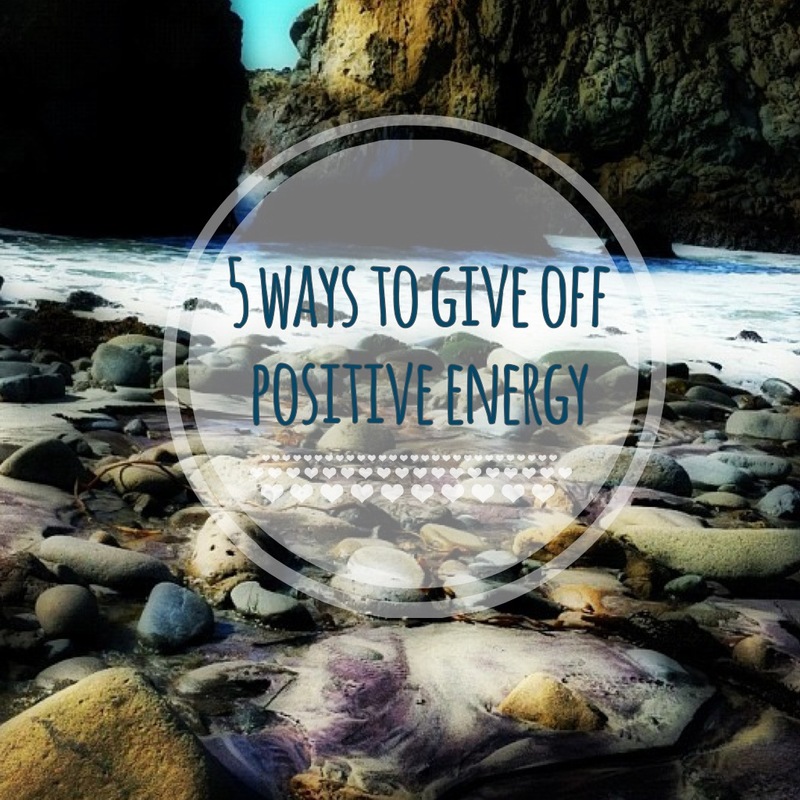 Whether it be positive or negative, your energy affects everyone you come in contact with. 1) Make it a point to smile, engage, and genuinely care what others say. By being friendly, compassionate, and thoughtful you are able to give off positive energy and make others feel good. 2) Make happiness a priority. Have you heard that happiness is contagious? Radiating positive energy has to start with being happy yourself. Once you’re happy, it will naturally be passed on to others. 3) Remind yourself to go about your day with love and gratitude. Focus your attention on loving yourself and others around you and being grateful for all of the blessings in your life. 4) Say more positive words. How we communicate and what we say plays an important role in the energy we give off. Promote good vibes with the words like “thank you”, “I agree”, “I love”, etc. 5) Do something that makes you feel good. Finding a hobby that energizes you like meditating, playing a sport, or gardening will bring positive energy into your life. 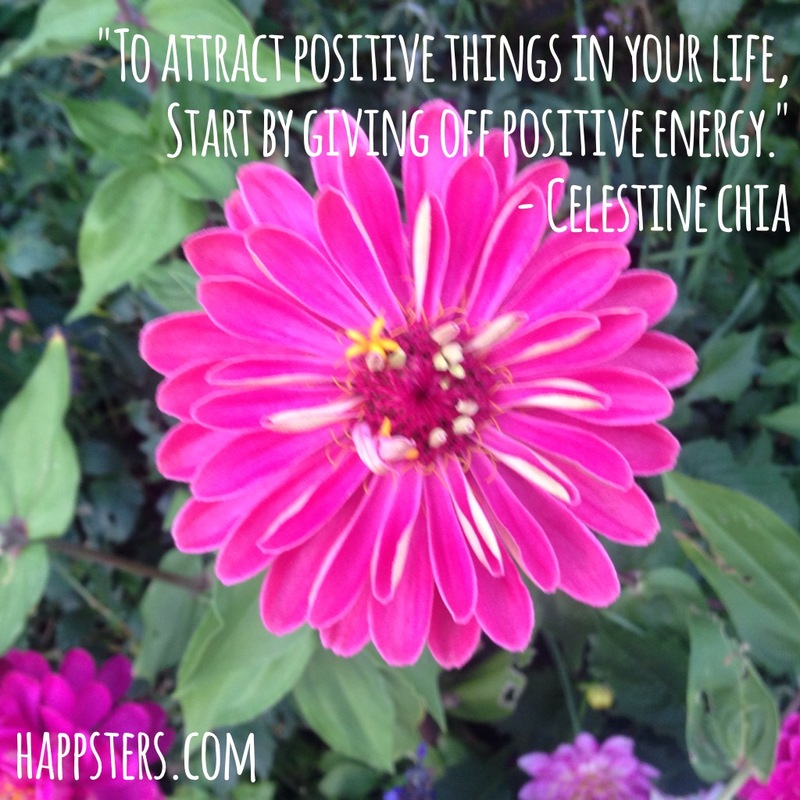 Have you ever been around someone who radiates positive energy? What activities do you find boost your energy? Let me know in the comments! The key to life is Happiness. A happy you= A happy family= happy friends=happiness! Its the circle of life! Reblogged this on Exploring Luna. This is so true! We are our own creators. My experience has been that genuinely happy people are also okay with being themselves. They’re not cocky about it, they’re content about it. They can say no and still give off a good vibe. Reblogged this on 10tothetenthpowerpromos-through my eyes-life is Pi. Yes much better to inflate those around you rather than leave them feeling deflated. 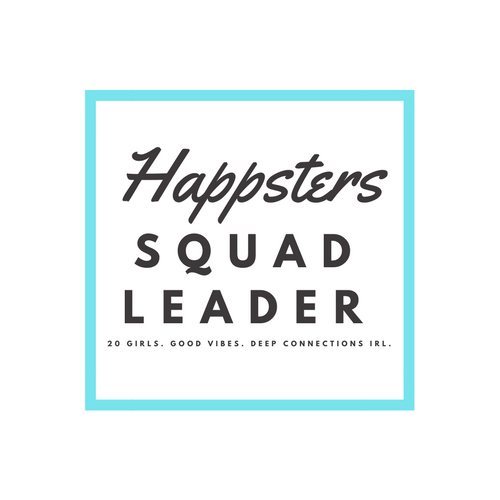 Love your tips. I love the sound of happy people anywhere. The chatter and laughter of people having a good time boosts my energy! You are right, Suz. Certain people just draw us in like magnets, while others repel. One of the most popular and well-liked women I’ve ever known had a great sense of humor and made you feel as if she truly was happy to see you. Reblogged this on Spiritual Geode. Anytime I feel I am getting negative or someone is hurting me I focus inside and figure out something that makes me happy….it is strange because I see a direct result in the people around me making them more positive….I love it!! Thank you so much. This is exactly what I needed. You are such an amazing person for helping people with this. Thank you so much for reading Kyanna!